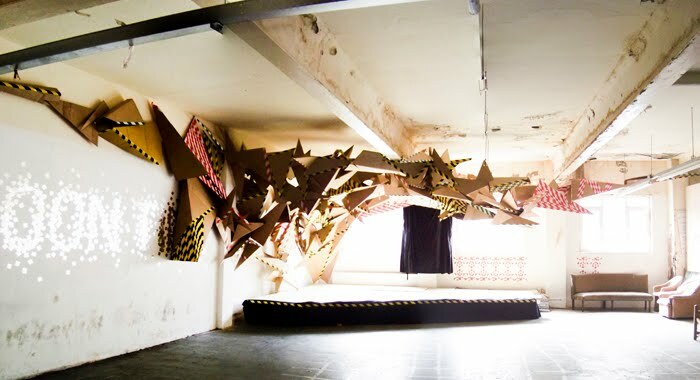 Found a new love this morning ... Aren't these cardboard installations by Berlin artist Martin Böttger absolutely divine? 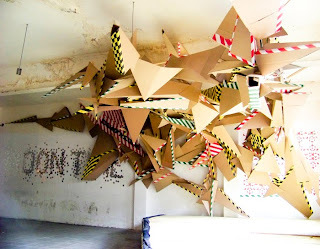 Based on 3D graphic design, the E8 card installation is made from folded cardboard, tape and wood sticks. 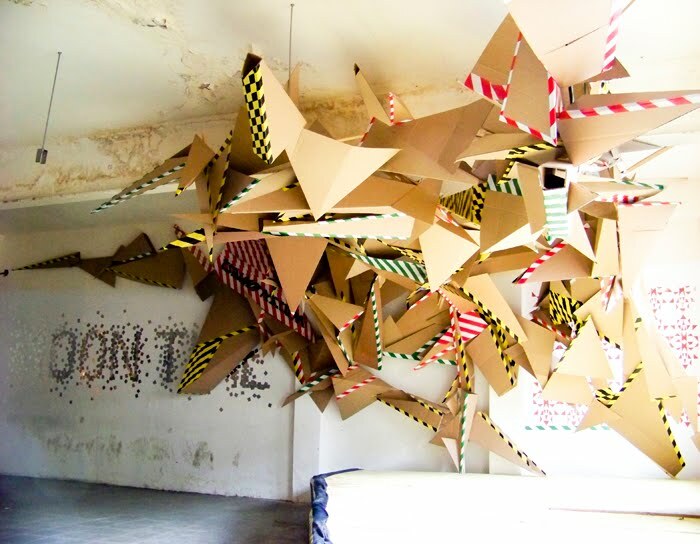 To see more of his work, click here.